PEKAN: The parents of a 11-year-old girl whose body was discovered on Saturday are believed to be descendants of Champa from Cambodia. Siti Masitah’s parents - Ibrahim Ali, 39 and Solihah Abdullah, 35, - do not have any identification documents or permanent residency card but have lived in Malaysia since early 1980s. Solihah’s aunt, Zaharah Ismail, 53, said the former had arrived as a young girl from Kampong Cham (a province of Cambodia) to live with her in Bera in 1993. “Solihah was nine-years-old when she came along with her elder brother and another female relative from Cambodia. Her brother passed away last year due to illnesses. “Solihah did not have any formal education. She later got married to Ibrahim (also from the Cham community) who was then working in Johor. “They moved and settle down in Pekan some 15 years ago. Her husband does odd-jobs in the village while Solihah is a housewife,” she said today. 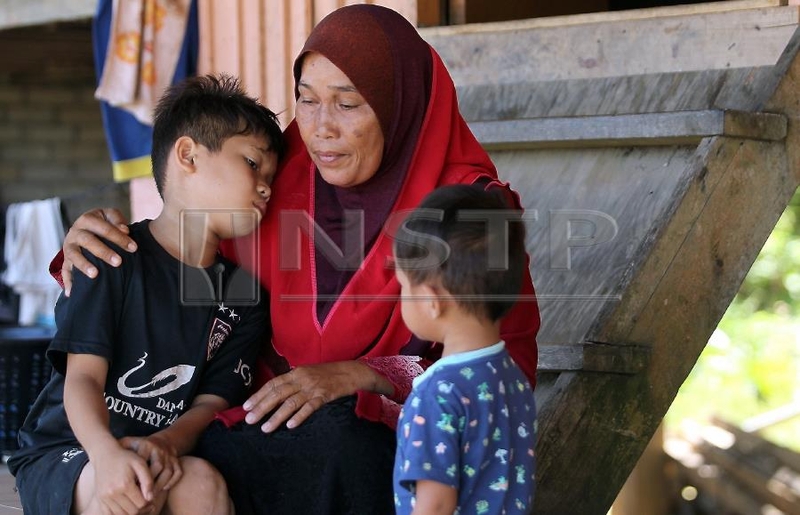 Zaharah said although Ibrahim and Solihah do not have identification documents, their four children aged between nine and 13, had birth certificates as they were born in Pekan Hospital. “Although they have birth certificates, they are listed as non-citizens, which had made it difficult for them to attend formal education or obtain a MyKad. Schools have rejected them as their parents do not have proper identification documents. “I have met several individuals for help including the Malaysia Muslims Welfare Organisation (Perkim) to secure the identification documents but nothing has materialised. “It is sad that the children cannot attend primary education and even Masitah was only attending religious classes in the village,” she said. A villager, who only wanted to be identified as Ismail, said most of them were first generation Cham Muslims, who had fled Cambodia more than 40 years ago. He said many of them have settled down here doing odd-jobs including becoming cage fish farmers. “There are hundreds of villagers here and most of us do not have proper documents. That is why it is quite tough during an emergency including when Masitah went missing,” he said. Checks at Kampung Kemahang today revealed that the villagers live in a close knit community and some of them could converse in fluent Bahasa Malaysia while some did not understand the language. Most of the children aged between six and 12-years-old attended religious classes from 8.30am till 4.30pm conducted by a teacher near the village surau. Meanwhile, Masitah’s religious teacher Mohd Salleh Ibrahim, 29, described her as a hardworking student who never failed to attend lessons at the Madrasah Islamiah here. “Masitah will always arrive early to class and will listen to instructions...she is a good student. I am saddened by her death and hope the individual responsible for her death will be punished,” he said, adding she even attended lessons on Jan 30 before she was reported missing. Her classmate Riduan Ibrahim, 12, said he last saw Masitah riding pillion with the suspect about 5.30pm in front of SK Tanjung Medang on Jan 30. “I was at school for volleyball practise when I saw them on the motorcycle. They were travelling fast and Masitah, who was wearing a helmet managed to wave at me....that was the last I saw her,” he said.